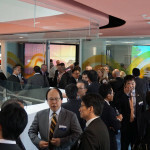 news Japanese IT services and products giant NEC has opened a new Australian headquarters in Victoria. The office will house around 600 staff, along with an Innovation Centre, which the company said will offer customers a “hands-on” experience of NEC technology and innovations in facial recognition, fingerprint scanning, and enterprise mobility. The office occupies approximately 6,000 square metres across two floors at its 720 Bourke Street address in Melbourne’s Docklands precinct. 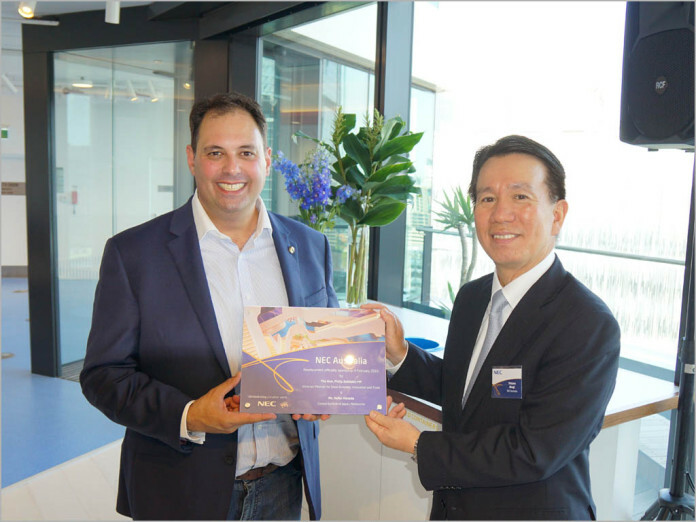 NEC said the Innovation Centre is supported by NEC’s Software Defined Networking (SDN) technology – an “agile and cost effective” way of building data networks that allows speedy adaption to changes in network traffic and service requirements. NEC Australia’s former headquarters were sited in Mulgrave, on the outskirts of Melbourne, where it operated for over 47 years. That facility played a role in developing local ICT skills in Victoria and has generated new employment opportunities, according to a company statement. The new space chosen for the new HQ reflected the firm’s desire to provide a “collaborative environment that creates value shared with customers and partners”, NEC said. “This open approach is central to create a smarter workspace to deliver innovation across all aspects of the business, from back office to operations, sales, customer support and solutions design,” it concluded.